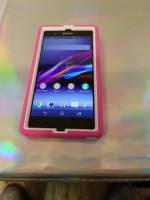 Used Sony Xperia Z. The phone works fine, however, is missing the USB, and SIMM card covers. 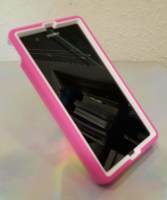 As you will see in the gallery below, I have included a cute, pink case, which covers the Simm tray, but leaves the charging port exopsed. Battery life is above average. Doesn't include charger, or charging cable. No worries, it is standard micro USB. No box, I bought it used in late 2015. 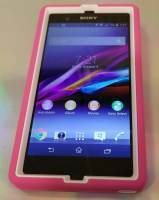 The guy told me that it was the Sony Xperia Z1, but, it was only the Sony Xperia Z. If you need a back up phone, this is a great deal, although the OS is very outdated. As a matter of fact, that is the very reason that I sought to replace it. Other than the outdated OS, ............. and the missing port caps, it is a great phone. Once again, Sony makes a phone that is ahead of it's time, (released in 2013). Sporting a 13 megapixel camera, and a 1080 display, at 441 pixel density, the Sony Xperia Z was well ahead of most of it's competitors. 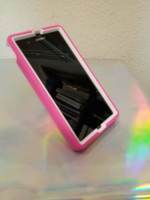 - Dust and water resistant. 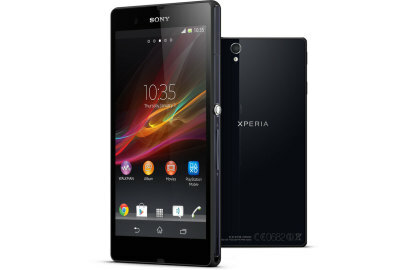 One more thing, the phone is water, and dust resistant, not water-proof, as Sony claimed. 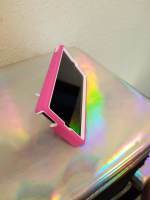 This is part of the reason that Sony's mobile phone division filed for bankrupcy. In other words, DON'T SUBMURGE THE PHONE!! 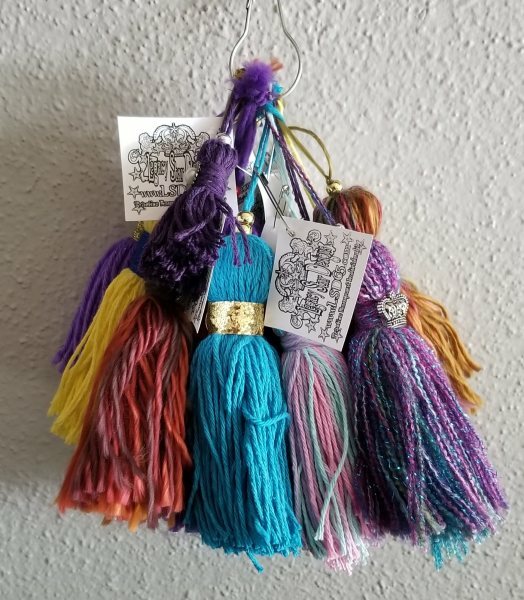 Handmade decorative tassels, made here in Austin. Presented by Legacy Star Designs. The tassels are designed for interior decor, however, if you want to make a fashion statement, feel free. Sometimes I will accept custom orders, meaning, certian colors, but I will need to know what colors, how many, and a down payment. If you would like to buy a tassel, please send me a text at 512-955-0607. I will get back with you within 24 hours.